Citing differences with management, Henrik Fisker is reportedly quitting Fisker Automotive, the company he co-founded in 2007. CNBC reporter Phil LeBeau reported that Fisker is leaving the company because of "differences with company's leadership/direction." 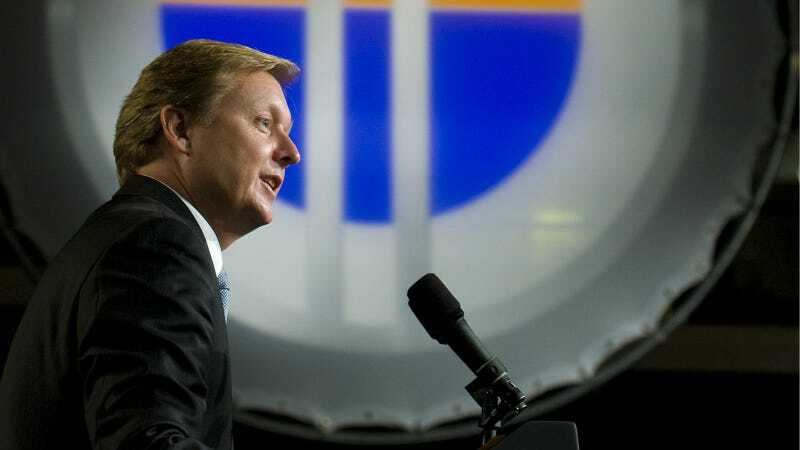 Automotive News elaborated somewhat, saying that Fisker officials told them in an email that their founder is leaving because of "several major disagreements that Henrik Fisker has with the Fisker Automotive executive management on the business strategy." I emailed Fisker Automotive for comment but have not yet heard back. It's no secret that Fisker, the manufacturer of the stylish Fisker Karma luxury hybrid, has been on the ropes lately. First, there's the whole issue of the Karmas catching fire; then there's the fact that 338 of them were destroyed during Hurricane Sandy last year, which cost them more than $30 million. Its battery supplier, A123 Systems, has also filed for bankrupcy. Fisker hired consultants to help turn things around in late January. Lately, Fisker has been shopping around for a new buyer to help ease their financial woes, one that will more than likely be Chinese. Among them are Dongfeng Motor Corp and Zhejiang Geely, which owns Volvo. This has at least one U.S. senator up in arms because Fisker still owes American taxpayers about $200 million for loans from the Department of Energy. That senator, Chuck Grassley of Iowa, called Fisker a "failed experiment." Henrik Fisker told Reuters in a phone interview that leaving was a "very tough" decision to make. It must have been. It's not just a company he founded after careers with BMW and Aston Martin, it's one with his name on it. Perhaps Fisker will be able to weather their financial difficulties without their founder at the helm, but his leaving doesn't do much to inspire confidence in the company's future. Update: Here's a statement from Fisker Automotive, which notes that the company's strategy "has not changed." "Mr. Fisker’s departure is not expected to impact the company’s pursuit of strategic partnerships and financing to support Fisker Automotive’s continued progress as a pioneer of low-emission hybrid electric powertrain technology."